Here’s Flamespyre Phoenix With Anointed of Asuryan. 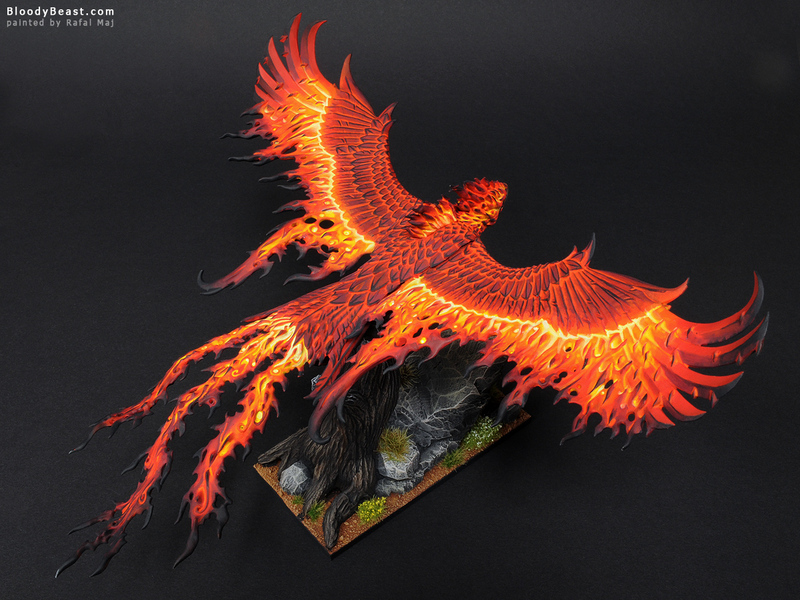 The Elf is magnetized so can be removed and replaced by some flames. I’ve sculpted the whole base for this model. Making it flying just over the burnt tree. 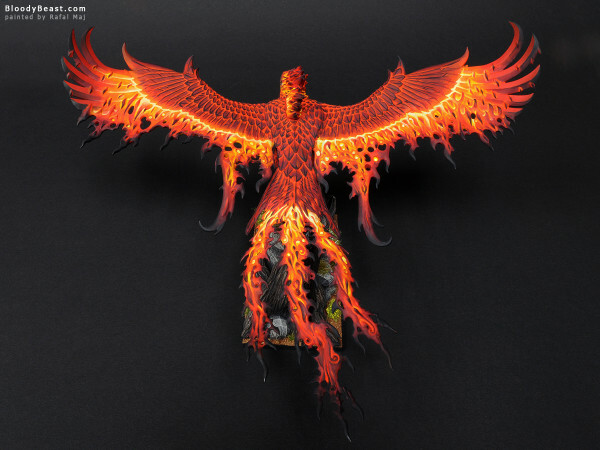 Treetop and Phoenix is also magnetized so they can be disassembled for easier transport. I’m really happy with this model. 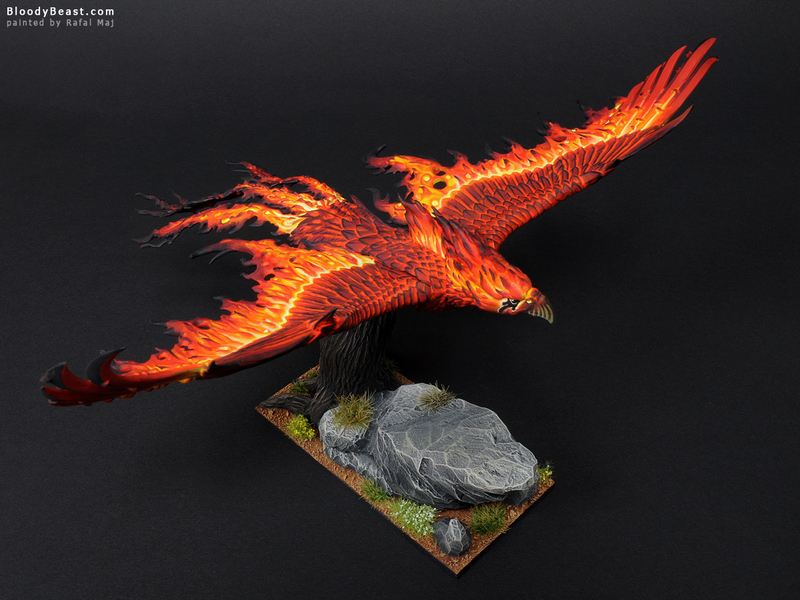 Believe me or not, but this is my first finished high Elves Phoenix ever. 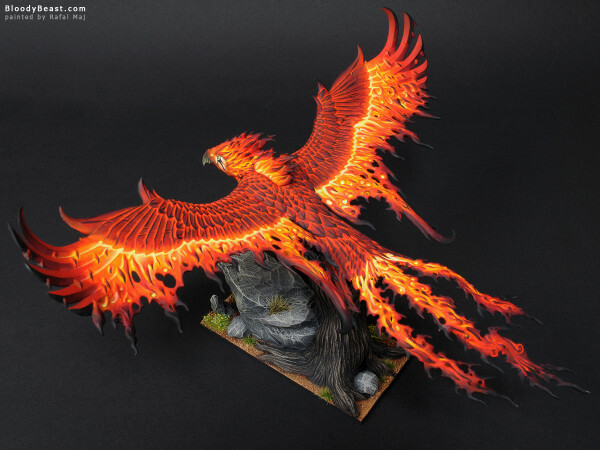 It took me really lot of time to paint that fire. But I want to paint more of them. 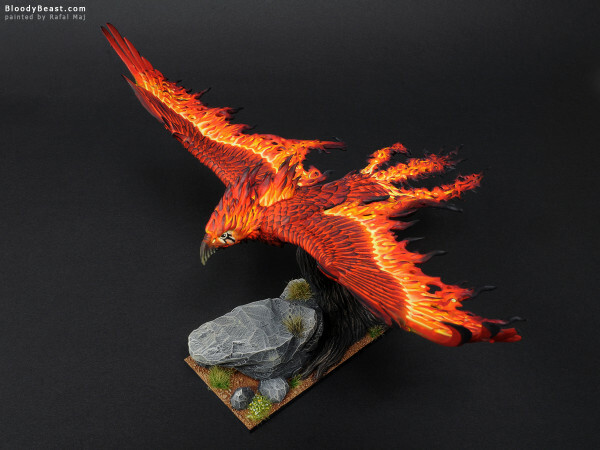 There would be another flaming Phoenix and one Frostheart Phoenix coming soon. Click photo to enlarge. 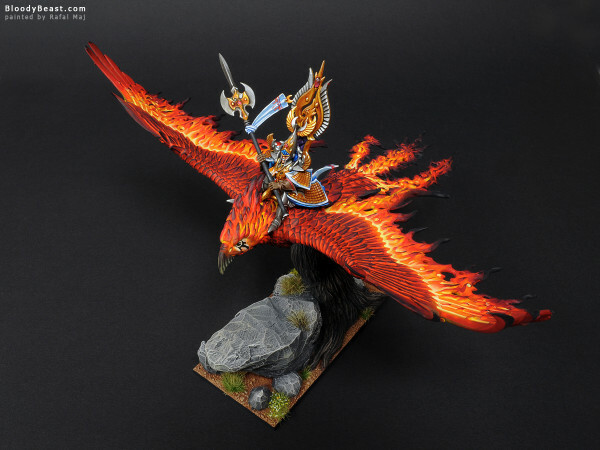 Posted in Warhammer Fantasy Battles, High Elves and tagged Bases, Games Workshop, Hot Metal, Painted, Videos, Youtube. Amazing job, this fire looks like real I almost feel the heat. N I E S A M O W I T Y ogień ! woah! cyka blyat! i looked at it and then farted. This is amazing! I know it’s really late, but how’d you do the fire?